Over the course of his career, Mr. Morgan has concentrated his practice in the area of civil defense work. He has handled hundreds of cases in the defense of municipalities, corporations, individuals, and insurance companies. 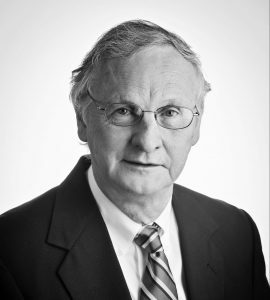 In addition to various insurance companies, he has represented Winn-Dixie for almost 30 years and served as City Attorney for Montgomery for more than three years. His practice also includes defending municipalities and public officials in a multitude of actions, many of which deal with Constitutional and civil rights issues. His varied practice includes premises liability, motor vehicle accidents, product liability, professional liability, employment claims, and municipal law. In addition to practicing in both State and Federal Courts, Mr. Morgan is certified as a mediator. Successfully defended the City of Alexander City in a challenge to its Zoning Ordinance regarding the placement of mobile homes in the City limits. A judgment in favor of the City was upheld on appeal by the 11th Circuit. Burton v. City of Alexander City.